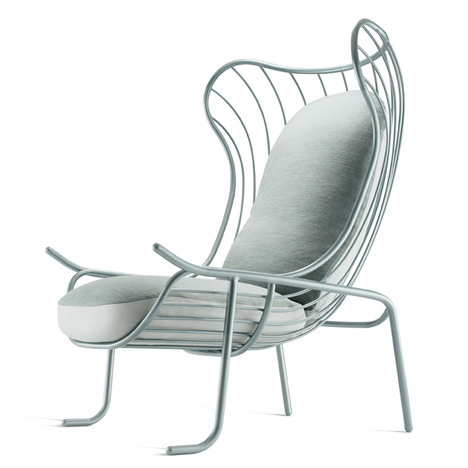 London Design Festival 2010: designer Jaime Hayón launches a collection of furniture including this tubular club chair (above) for London design brand Sé as part of the London Design Festival this week. Other pieces include Beetley seating inspired by the form of a beetle (above and below) and a series of tables called Flute, with metal legs tapering to a wooden top. Hayón's is the second collection from the brand, which launched in 2008 with a range by Paris designer Damien Langlois-Meurinne. Collection II is on show at Sé's west London showroom at 221 Brompton Road, London, SW3 2EJ until 26 September. This is the show-stopping Sé Collection by Jaime Hayon. Created by one of the world’s most outstanding and original designers to date; launching in London during the capital’s design festival this September – this series of chairs, mirrors, tables and sofas is Hayon’s first ever complete furniture range. Launched at Maison et Objet, Paris 2008, Sé is a UK based, globally sold luxury furniture brand produced mostly across a French network of craftsmen and artisans. The first and current Sé collection designed by Damien Langlois-Meurinne, was revealed to critical acclaim. The latest Sé Collection by Jaime Hayon is dedicated to the interior design world and will offer a fresh and innovative range of iconic elements to this sector. The Sé / Jaime Hayon collaboration began with an idea from Director Pavlo Schtakleff – he himself constantly striving to achieve the ‘new’ by carefully sourcing only leading experts to create unique styles and finishes, enabling design extraordinaire Jaime Hayon to create a full range of pieces would, in Schtakleff’s mind undoubtedly result in this perfect coupling of design originality with Sé’s now firmly established basis of superior craftsmanship and technological expertise. The materials chosen for this collection were a selection of the finest woods, metals, marbles and fabrics – the edit of these, resulting in a richness clearly demonstrated within each piece. Shapes within the collection are dynamic and light. They are objects of comfortable luxury, each with a strong identity yet classic in their ability to work within a variety of environments. 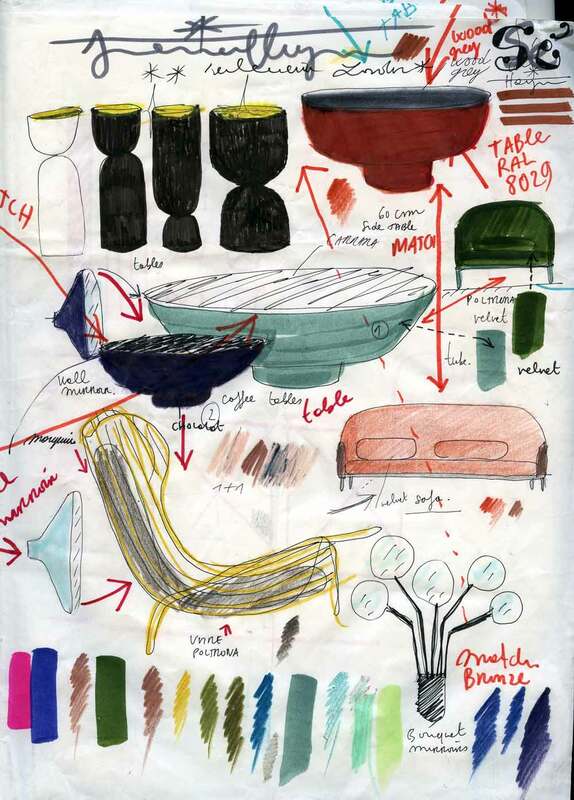 For Jaime Hayon, the freedom to create an extensive collection with the support of a skilled production network was also an attractive proposition. "I met Sé in London whilst selecting furniture elements for an interior design project. The result is outstanding. A pure combination of design, wit and craftsmanship. The personality of each piece, the originality of the collection as a whole, the detail and the finishes all extol the virtues of a team who have pushed every boundary in creating this exciting collection, of what can only be described as no less than haute couture furniture.